My meatballs are basic and simple. I don't like to add a bunch of extra stuff to them, which makes them perfect for any sauce - Mushroom, Tomato, or my Sweet & Sour Sauce! - Form into balls and place on aluminium lined bake sheet. I use my Kitchen Scoop to make them quickly and the same size. - Bake @ 350° for 40 minutes. 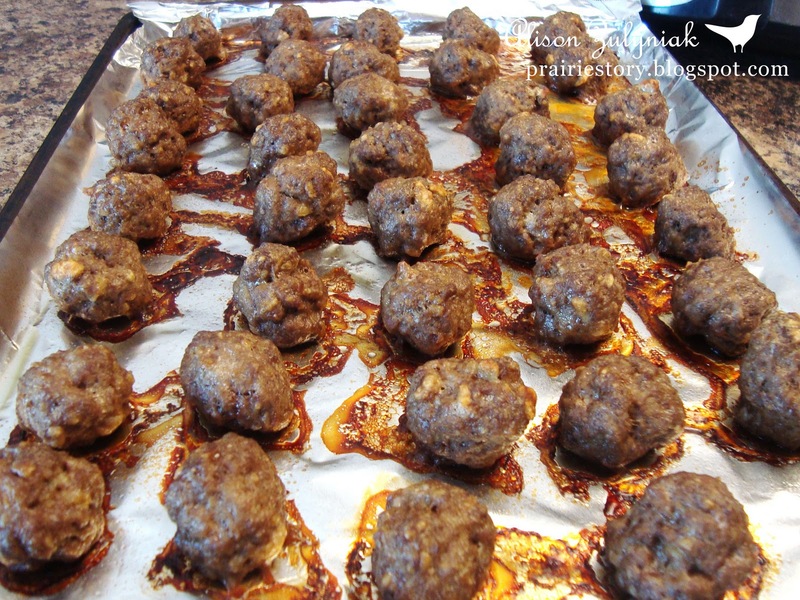 - Once cooled enough to handle, removed from bake sheet and place meatballs in baking dish so you can easily add your favorite sauce and warm in oven when you are ready to serve. mmm I think I want to try these with your sweet and sour sauce. Hope to make them soon! I always like to bake my meatballs too. We usually make them with a barbecue sauce or a soy sauce-sugar sauce, but sweet and sour also sounds like a good idea to me.